The Federal Reserve today requested comments on changes that the regional Federal Reserve Banks would make in connection to NACHA’s same-day ACH rule. The Reserve Banks are proposing to adopt the enhanced same-day ACH service by including NACHA’s new rule in their operating documents. The Fed is seeking comments on the rule’s provisions making same-day ACH capability mandatory for all financial institutions and the 5.2 cent per transaction fee paid to receiving institutions. Comments are due by July 2, giving the Fed 11 weeks to review the comments and approve the proposal before NACHA’s Sept. 23 deadline for the Fed board to approve the rule. 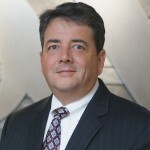 Steve Kenneally is a vice president in ABA's Center for Payments and Cybersecurity.